If you don’t already love it, think again the next time you say “no cilantro for me please”! Fresh coriander leaves, also know in North America as Cilantro is one of the most versatile herbs used in many cuisines of the world for its distinctive taste and superb health benefits. In Ayurveda, cilantro is the best choice for cooling an out of balance Pitta, as well as its considered tri-doshik (meaning it won’t throw any dosha off balance). 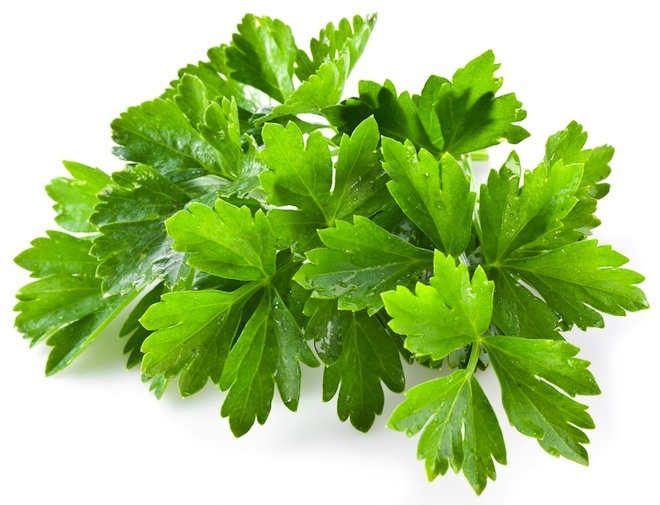 New research published in the The Journal of Food Science, shows that cilantro also acts as a very effective “biosorbent,” (a material that absorbs heavy metals in water). This property makes it a great water purifier, so simply add dried cilantro leaves to a bottle of water, shake, let settle, and pour into your water jug. A delicious “MUST HAVE” for an aggravated Pitta, as the combination of coconut and cilantro provides excellent cooling and soothing to any inflammation or irritation that excess Pitta may cause. Blend all ingredients in blender for 2 minutes until smooth and serve over rice, as dip, as sauce over fish/chicken/lamb, or any other way you like. Bring water to a boil; add all the ingredients and simmer for 2-3 min. Turn off the heat, and steep for 5 min. Drain through sift and enjoy this wonderfully refreshing tea hot or cold.